There has been a lot of debate over who should win the prestigious Pepsi Rookie of the Year award this season. Here are some compelling arguments for and against each finalist. To ensure that I am completely fair and show no favor towards any of the Browns’ players, I have listed them in the order they appear on NFL.com. 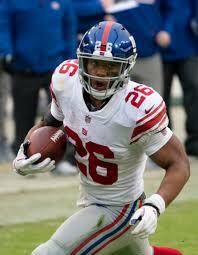 Saquon Barkley- RB, NYG: Barkley scored 15 touchdowns this season and had the 2nd most rushing yards in the NFC East this year on 261 carries. He also had 91 receptions. That is 352 touches in one year! Can you say ball hog? Those stat lines are great and he probably led fantasy teams to a lot of victories this season. Unfortunately, The Pepsi Rookie of the Year Award isn’t won in make-believe-land. In the real world, Saquon led New York to 11 losses. I don’t know about you guys, but I want my top rookie to help his teammates and share the spotlight. Nick Chubb- RB, CLE: Chubb averaged 5.2 yards per carry this season and was technically the Browns’ first 1,000 yard rusher (until he lost yardage on his last attempt) since Peyton Hillis in 2010. This is incredible seeing how he was only given double-digit carries in 8 games. The Georgia product also found the endzone 10 times and ensured I didn’t have to start Isaiah Crowell on my fantasy team the second half of the season. 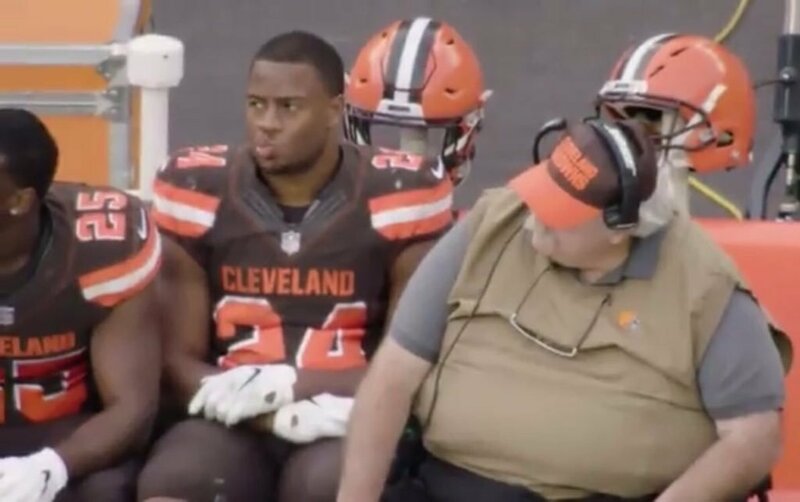 What Nick Chubb was able to do this season was very impressive, especially considering he got Hue’d. 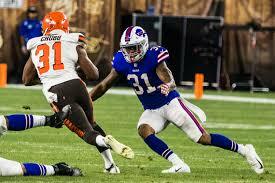 Hue’d (v. hyoo-d) – 1. the act of being benched for less impressive, unproductive veterans. ex. Tyrod Taylor started over Baker at the beginning of the year? Boy did he get Hue’d. 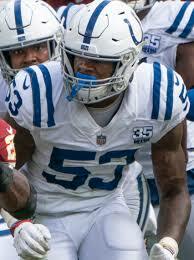 Darius Leonard- LB, IND: Leonard led the entire NFL in tackles with 163…yawn. If tackles were so great D’Qwell Jackson and Jamir Miller would’ve been league MVP every year. His 7 sacks may seem impressive as well until you realize that Kamerion Wimbley had 11 during his rookie campaign. All in all, Leonard had a nice season and defense may win championships, but it doesn’t win Rookie of the Year awards. Phillip Lindsay- RB, DEN: Lindsay seemingly came out of nowhere this season. The native Coloradan went undrafted, joined his hometown Broncos, and took the starting job from fellow rookie, Royce Freeman. Lindsay had very similar stats to Nick Chubb this season, with 40 more yards and the same amount of total touchdowns. If I had to pick a negative about this kid, it would be that his team underachieved, he got banged up, and faded down the stretch. Also, Chubb won their head-to-head matchup and outgained Phillip 100-24. Tough look for the first year back. Baker Mayfield- QB, CLE: Mayfield was the catalyst in turning the Cleveland Browns’ season (and entire franchise) around this year. The young signal caller set the record for most passing touchdowns by a rookie, passing Russell Wilson and Peyton Manning (maybe you’ve heard of them). Baker had 3,725 more passing yards than Saquon Barkley this season. He had 27 more passing touchdowns than Chubb and Lindsay. He even had more sacks (25) than Darius Leonard (7). The former Heisman winner accomplished all this while also enduring the Hue/Haley experience. The Verdict:This is a great group of young players and some of them will probably go on to be stars in the NFL for years to come. Nick Chubb set team rookie records for a franchise that had legendary running backs like Jim Brown, Leroy Kelly, and Trent Richardson. 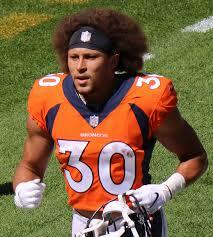 Phillip Lindsay became the first undrafted rookie offensive skill position player to be named a Pro-Bowler. This race is tighter than a bench seat next to Bob Wylie. 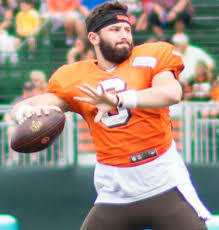 With all that being said, I think its a no-brainer that the winner of the 2018 Pepsi Rookie of the Year Award should go to Baker Reagan Mayfield of the Cleveland Browns. A rookie quarterback leading an 0-16 team to a 7 and a half game improvement, while going through a coaching change, is more impressive than any stats you can show me. Expect the young QB to continue to grow and develop with his new (old) coach, Freddie Kitchens at the helm.